Splatoon has been out for nearly a week and already people have been looking at the inner workings of the game's intricacies in order to give them an edge when it comes to the crunch. We're nothing if not diligent and have compiled a good number of tips that can help give you the upper hand online. This is by no means a complete guide, and we'll likely be producing similar guides in the future as we discover new and exciting ways of spreading our colour about. Enjoy the video, and if you haven't already you may want to subscribe to our YouTube channel to keep up-to-date with all of our daily videos! While holding ZL (squid form), if you shoot one shot (tap ZR) at the ground about jumping distance away, you'll automatically jump into it at a relatively fast speed, and you can keep repeating it very easily. This is useful for when you want to swim away so you don't get shot at, but there's no ink for you to swim to (works in neutral or enemy ink). The splats are also large and don't use much ink which is a nice bonus. Edit: My favourite way to use it is at the beginning of a Saltspray Rig Splat Zone match, use it to get from the front of the splat zone to the back, and then go around to the other side of the back of the splat zone. I have swimming and walking speed as main bonuses so am usually able to do this and start covering both sides of the back of the splat zone before anyone else can get through the front entrance. Do people really need a guide to get gud in this game? It's super easy! Just little tip if your ink is full When timer hits 1-0: throw bomb. This helps very little in turf war but its better than nothing. Other tip when you know u will be splatted: drop bomb down it might splat him too. I might die but i will drag you to hell with me. @TwilightAngel judging by the people I'm dominating in most matches, yes. Even if the walls don't give you points or charge your gauge, it makes the purrfect hiding spot since most people don't think about inking walls (unless to climb to a platform) and they tend to focus more on the floor and opponents. Well I just risk exposing myself with one of my favorite moves. Still don't like super jumping. almost always gets me killed, but realized playing ranked battles that's really the only way to go, 1 teammate gets the high ground and the rest of the team just continually jumps to that player. Still get killed half the time, but it just takes too long to travel to the splat zones otherwise. In turf wars there's always something to ink while swimming whererever I feel the need to go. Just recently leveled up enough to buy the seeker and the sprayer but haven't used either in ranked battle yet, still trying to figure them out in turf wars where life seems to move in slow motion after a few rounds of ranked. Keep making videos, I have a feeling things will change again when the moving platform mode appears. @Miko08 I love doing that with the mine. Most times people walk over my temp grave to ink the other side and that's when my gift hits. The 5 hour tutorial single player worked wonders for me. Felt like Mario Galaxy meets Portal. @rjejr in splat zones, sometimes it is better to take the long way if the other team isn't really close to winning. If your whole team is almost taken out and it looks like your teammate is in danger then it may be best to not jump to them which could get you killed and take you longer to get to the Splat Zone. 1. Turf still matters in Splat Zones. Don't always charge in. If your in control push on the enemy lines so they have to waste time laying down their ink paths again.This also gives you options over the terrain and allows you to ambush them easier. 2. Get good at hiding in walls, and let them pass by you before jumping out. This can give you a serious upper hand. Even in Turf Wars, killing people is still rather important, as it gives you uncontested time to cover their turf. 3. DO NOT! Charge into the enemy base alone. All that turf you just covered will be covered momentarily after your death. Patience is a virtue. 4. Lastly, three small tips to winning. 1.Keep your eyes on the map. 2. Keep your stupid eyes on the map. 3. Keep your d*mn stupid eyes on the map. 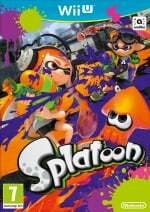 @yokokazuo - Seems like I only have 2 types of splat zone battles - we win in 2 minutes or they win in 2 minutes. When they are going to win in 2 minutes is when I super jump b/c every second counts. Not every battle is like that, but many are, so I super jump if need be. I never really feel the need to super jump in turf wars, I'll only do it if I'm bored b/c we are going to win 60% to 10% and there's nothing to do by my base. I only just found out in the forum 2 of the maps have multiple splat zones, am really looking forward to trying those out, should make things even more interesting. Probably more frantic and stressful but at least more to do. Didn't play yesterday b/c I'm trying to finish Xenoblade. 70+ hours in and the end is in sight, but I'm under powered and needed to grind. When I realized you can strafe with a shooter or charger, I've found shooting while sidestepping is pretty effective at quickly inking an area. @rjejr oh ya I kind of hate it when the battles are one sided... But the maps with 2 splat zones tend to go to the last second for me. Sprinklers are also great distractions if need be not to mention putting a sprinkler on a wall can also confuse the enemy sometimes making them think there is someone on the other side which works amazingly on port mackeral. 2: try not to go directly for an enemy head on . 3: try to have a strategy for each map. 4: for level 10 people If your not familiar with the maps in zones I recommend you try to get better at turf wars before you take on splat zones. But unfortunately if you get not very good teammates splat zones can be REALLY stressful especially when you want more of the higher A or B rank. Unless a team is completely dominating, it feels to me that only the final 30 seconds of a match matter ( in turf wars ). For this reason, I much prefer the ranked matches. Every second counts in that one. @ultraraichu @AyeHaley me too. On the blackberry skatepark put mine on top of the center tower and u will always get kill. @rjejr its very good if u have stealth jump ability because then they just cant see where ur landing and then u can just do suprise attack. @ultraraichu @Hachiko i dont really like those walls for hiding because they can see ur there even if u have ninja squid ability because u have to move upwards all the time or u fall to the ground. I just hide in corners or move quikly around because i have ninja squid ability. The echolocator is incredibly valuable to have in Splatzones. I would say it's a better ability to have than even Inkstrike in that mode. @Hachiko knows what he's talking about. Meanwhile, @rjejr - every time you think you finish xenoblade, the game is even bigger. Untill you finish it. @SparkOfSpirit I love echolocator in Turf Wars, but in splat zones I can't take a zone with echolocator. When the opponent uses it I just swim left and right back and forth really quick and it doesn't really affect my defense. My strategy in Ranked mode is: get there first, use inkstrikes when things start looking bad, cut their way to the objective, so they can't take the zone from you... be aggressive (lol). @Miko08 Same here, especially when they think they can sneak up from behind for an attack while you're shooting. As for the wall, I find that barely tilting the left side up will keep you in the same spot. I normally hide in walls facing away their spawn point and unless they're real cautious (which I'm sure they will be now ), they would run by and try to ink your turf, rarely looking back. @Miko08 I like your avatar on topic, I tend to splat around the other player until I get a shot from the side or behind. The best tool for inking are the senses you were born with. If your senses are dull to begin with, you'll never be a good splatter. Is it supposed to look like Ganondorf is stabbing Alex's head? During Turf Wars if my team isn't doing that well then they will try to fight the opposing team by our camp. However, there is almost always a path of your team's ink to get away from the action and steal all of enemies turf. So while the 4 enemies were teaming up on my 3 not really gaining any more turf I was busy ranking up the points! Look at the map people! It's very useful! Don't follow people on your team. Find somewhere nobody is at and push forward. Save crackon or bubbler until you confront an enemy. Don't go after enemies, go after turf. Don't always go after enemy base. Something smart I saw an enemy do on port mackerel was plant their sprinkler on those cars that go back and forth. @Nintendo_Ninja If it was a person that uses a .96 Gal, then there's a small chance it may of been me. @jdarrell The Echolocator isn't about taking zones, it's about anticipating where your opponents are coming from and subverting their attack. In places like Port Mackerel or Salt Spray Rig, it can quickly let you know whether to spend time inking surrounding areas or finding an optimal point for defense since those maps were built for defensive players. But this depends on your play-style. It doesn't suit aggression very well, but does wonders for defense. If the enemy has 80% of the map and you're outgunned, try to sneak/break past them so that your teammates can quick jump to you instead of being picked off at base. In ranked, a similar idea would be taking an extra few seconds to ink a side route in maps such as Port Mackerel. @Dogorilla Keeps me in my place. @yokokazuo - "But the maps with 2 splat zones"
Really looking forward to those, haven't had a chance to play them yet, maybe after dinner. always have ink behind you!!! once a zone is occupied, spend time inking your escape route... you have time once the opposing team begins to control it, so spend your time gathering your focus (every micro-second seems to count in this game), getting your vantage, and laying ink for mobility. Stand in front of the enemy spawn point of port mackerel with the kraken roller and splat everyone right after they spawn. I got 31 splats in one match, no nans! This game sounds like a lot of fun if not a little confusing to someone who never played before. Will I get smoked online like in Call of Duty or is it friendlier to newer online shooter players? I use the motion controller aiming and use a rubber band to keep Y pressed down so I can perma strafe. you won't get smoked if you try different things. you'll have fun!! dude, i'm super super envy of all the paintings you have on the wall: where do they come from? can we mere mortals buy these too? IS KNOWONE GOING TO ACKNOWLEDGE THAT I HAVE NOT BEEN ABLE TO DO AN ONLINE MATCH FOR DAYS! Please look into this Nintendo Life!!! @TonLoco much much more friendlier. Do you get more points for killing people with the charge shot? I never use it because during the test fire when I tried it my points plummeted. I feel there's no incentive to use it unless you get rewarded more points for kills then with the other weapons. I mean, it's obvious it's the worse weapon to use for inking. One player on the opposition was an ace shot with it and killed me and my teammates like 9 times but got last place in point totals and he was a big reason his team won the match. He singlehandedly neutralized my squad and was unfairly rewarded. @erv - I got 1 of my Xeno characters health up to 9999 last night, which 'm assuming is the max b/c I kept messing w/ the HP Up crystals. Considering I'm only 2/3 the level of some of those red guys I'm not sure how its all going to play out. but I am close to the end now. I think. Busy doing all those timed sidequests. Oh how I hate timers, they're so nerve-wracking. Though not as much as I hate sidequests for monsters I've already beat. Just how many times do I need to save and load a game. Over 9000? @ghostjoshu - "I'm a bit fearful about the scope of X and the level of commitment required"
I'm actually fearful that after the ever expanding story in XC that X will seem more like a bunch of sidequests in search of a story. Kind of like Final Fantasy 12, who's story was short and I can't remember but I played 100 hours after it was over killing monsters. The 20 hour story was like a tutorial for the monster hunting. The emphasis on online battles against huge monsters is what has me worried. And potential paid DLC. XC is one of the best JRPGs I've ever played, and I've played a lot since 1997. FF13 was horrible after FF12, which itself was lame after FFX. guess you could say I'm leery of letdown. @Blastcorp64 there's a method to make it work. in fact, the splat charger will quickly out ink a roller. try it for yourself: shoot your charge, then sidestep and shoot again so you get two lines lookin' like one. rinse and repeat. i've found the splat charger doles out ink just as fast as any other weapon, and in some cases even faster. @day yeah, I need to spend time tinkering with it. I just want to use it and be a stealth assassin. I see more value in it during splat zones with its winner take all payout regardless of how much territory you inked. has anybody used the one with the zoom-in scope? does it too have the targetting line? Tip: match your gear! Some perks work great with some weapons but are useless on other weapons: walkingspeed on rollers, Damage on high RoF guns for example (damage ups per "bullet" so technically damageboost have more effect on high rate-of-fire weapons). The other way around won't have as much impact. Also: paintbrush + opening gambit + messaging "follow me" = insane in ranked mode. Or at least using each others ink to be speedier.